If you really want an adrenaline rush,” a young friend was advised recently, “forget extreme sports. Just go to a London dinner party with Left-wing economists and tell them you voted for Brexit.” There are plenty of other liberal groups which believe that only old, stupid, ill-educated, selfish bigots could have voted Leave. To them it implies turning one’s back on Europe in favour of Little Englandism. And if you’re Irish, you’re accused of callously ignoring the interests of your native island. When confronted by people they expect to be like-minded, such Remainers react with incredulity and — rather than have a calm discussion — are frequently very hostile. The Right, I’ve found over the years, are a lot more tolerant that the Left, which has a tendency to think itself the sole occupant of the moral high ground. After more than 20 years as a journalist challenging fashionable opinions I’m battle-hardened, so after several weeks of talking about the EU with open-minded friends I rather nervously sent off my postal vote a couple of weeks before referendum day and then came out as a Brexiteer. One result has been that Leave voters still in the closet confide in me. Over the last few weeks people have told me they’ve persistently lied about their vote because they don’t want to be written off at work, denounced by their children as wreckers of their future or shouted at socially as some kind of enemy of humanity. One friend who works in the literary world told me he’d said nothing about how he voted since his colleagues seemed to be Remain to a man and woman and he feared that if he told them he’d voted Leave large question marks would be put over his judgment. Another was at a family gathering recently where she kept her mouth shut as Leavers were denounced lest she precipitate a row, until her 90-year-old grandfather whispered to her in a corner that he had voted Brexit, after which they had a happy, but discreet, conspiratorial celebration. Among my Leave friends, although uncontrolled immigration was an important consideration, what had most influence was the apparent unreformability of the EU. We’ve been appalled that the likes of Jean Claude Junker, President of the Commission, seem to learn nothing from the EU’s failure to deal with such tragedies as the shambolic migrant policies which have caused such misery, the precariousness of the euro, the state of Greece, the youth unemployment in Portugal and Spain, the rise in extremism, and the anti-EU sentiments in opinion polls. Their imperialist aspirations remain intact and they call for a more and deeper Europe. It is not ignoble to unshackle yourself from a failing institution before it drags you down. The UK can stay friends with Europe but rule itself and enjoy the adventure of forming closer relations with the rest of the world. And it certainly wants to stay close to the Republic of Ireland. The tone of the Republic’s commemoration of the Easter Rising and the Somme has shown it has left Anglophobia behind. As Queen Elizabeth pointed out on her 2011 State visit, the UK and the Republic have become “firm friends and equal partners”. They became close allies in the EU, and need now to be creative and constructive in fashioning a mutually beneficial next stage in their relationship. 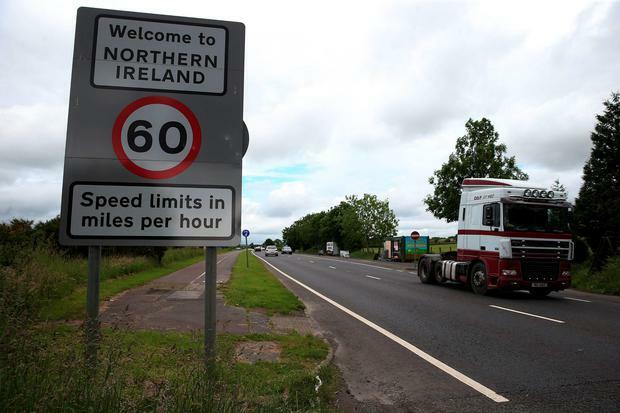 On the island of Ireland responsible politicians in Belfast, Dublin and London need to forget about the distracting nonsense of a border poll and find pragmatic ways of achieving the softest possible border. Thoughtful people in the south should be giving serious consideration to how the Irish Government might think more globally. At a time of threats and unheavals, the country needs all the friends it can get. Why should it not, for instance, reconsider rejoining the Commonwealth, a loose co-operative organisation of 53 independent countries, only 16 of which have the British monarch as Head of State? The trade advantages of being in an organisation representing 2.2 billion people in Africa, Asia, the Americas, Europe and the Pacific are pretty obvious. And in the UK, Leavers and Remainers should kiss, make-up and get down to work.